The companies behind Budweiser, Miller and Guinness have poured tens of thousands of dollars of advertising money into a campaign to defeat a local Anchorage alcohol tax, new financial disclosure reports show. Anchorage Mayor Ethan Berkowitz proposed a 5 percent retail sales tax this past fall as a way to pay for homelessness services, substance abuse treatment, illegal camp clean-ups and public safety at a time of declining state support. The money would be legally restricted to those causes, according to the text of the measure. Some of the more prominent anti-tax ads have focused on Seattle’s struggles with homelessness, suggesting more money will not help the problem. Business owners have also decried the tax as unfair. Anheuser-Busch, the Missouri-based brewing giant that owns Budweiser and various other beer brands, donated about $24,000 to the campaign, records show. Other national heavyweights include MillerCoors in Chicago, and Diageo, a British multinational company that owns prominent brands like Guinness and Smirnoff. A California-based advocacy group for the California Wine Industry gave $20,000. 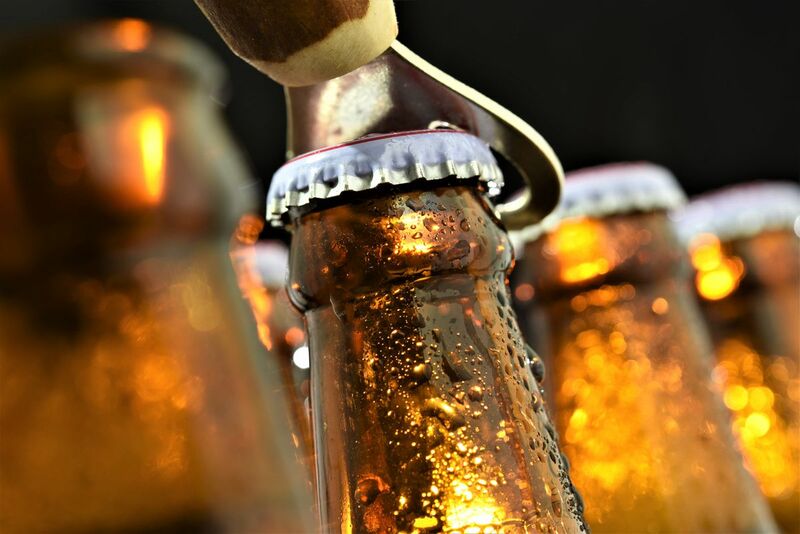 Various regional and local distributors, industry groups and breweries also pitched in, including Reilly’s bar on Firewood Lane in Anchorage and Talkeetna-based Twister Creek LLC, records show. Anchorage would become one of 11 other communities in Alaska with a local alcohol tax, including Bethel, Dillingham, the city and borough of Fairbanks, Juneau and Utqiagvik. The pro-tax campaign, Yes for a Safer Anchorage, has raised a fraction of what the alcohol industry has put up, records show. Supporters of the tax include Anchorage’s police and fire unions, individual donors, the parent company for Brown Jug liquor stores and Recover Alaska, a nonprofit organization that works to fight alcohol-related problems. Proponents of the tax say Anchorage isn’t like Seattle, and the added income would help the city expand treatment and efforts to move people off the street while also helping heavy drinkers and young people drink less. 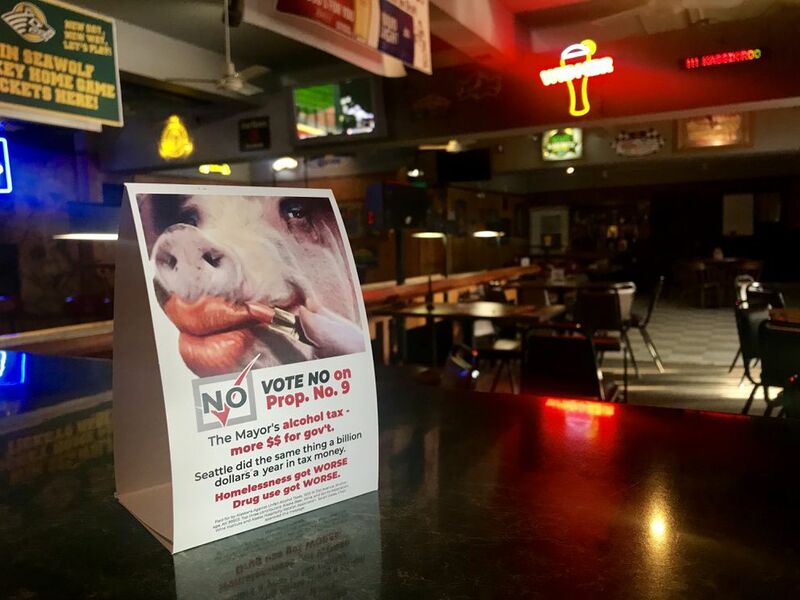 The alcohol tax campaign isn’t the only one that has drawn attention from organizations with broader ties across the country. Seattle-based Planned Parenthood Northwest and Hawaii, a regional advocacy group for Planned Parenthood, had spent about $2,000 sending supportive emails and paying for Facebook ads for Assembly candidates Meg Zaletel, Kameron Perez-Verdia, Oliver Scheiss and Forrest Dunbar, and School Board candidates Starr Marsett and Margo Bellamy. For the second year in a row, the Alaska Center, previously known as the Alaska Center for the Environment, held get-out-the-vote canvassing events in Fairview and Mountain View. Its independent expenditure group also spent about $10,000 on supportive ads for Zaletel, Perez-Verdia, Schiess, Dunbar and John Weddleton, and supported phone banking for Perez-Verdia and Zaletel. Perez-Verdia is running against former state legislator Liz Vazquez in West Anchorage; Zaletel is facing off against auctioneers Christine Hill and Ron Alleva in Midtown. The group says it will support candidates that will “stand up for our clean air and water, healthy communities and a strong democracy,” campaign reports show. The organization started in Alaska in the 1970s and now draws funding from a mix of individual local donors and a few larger national donors. Through general fundraising in 2018, the group collected donations from the influential, Washington, D.C.-based League of Conservation Voters and a nonprofit called the Sixteen Thirty Fund, which has poured millions into state-level advocacy groups that promote progressive causes, according to a 2018 report in Politico. Meanwhile, a national Republican group, GOPAC, has now invested $70,000 -- up from an initial $40,000 -- in an Alaska-based independent expenditure group called Families of the Last Frontier, according to filings with the Alaska Public Offices Commission. Records show the money is being used for radio ads supporting conservative School Board candidates Kai Binkley Sims and David Nees. In an interview earlier this month, the chair of GOPAC, David Avella, said his group’s aim was to build up a “farm team” of conservative candidates that could run for higher office. This week, an independent expenditure group chaired by the leaders of the Alaska AFL-CIO mounted a response campaign. The group, Putting Alaskans First Committee, paid the firm Alaska Survey Research about $6,000 to run ads supporting Marsett and Bellamy, disclosure reports show. The Anchorage Education Association, the teacher’s union, donated the bulk of the money. Former Democratic U.S. Sen. Mark Begich and his wife, Deborah Bonito, each gave $1,000, disclosure reports show. This weekend is the home stretch for the election. Voting ends Tuesday. Ballots must be postmarked, dropped off or filled out at an accessible vote center. Editor’s note: This post has been updated to reflect the latest fundraising numbers from GOPAC.